A quick postcard from San Francisco on this 4th of July. 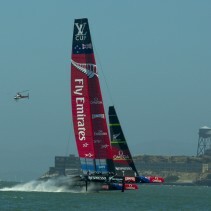 The America’s cup opening day was today. While the races only begin on sunday (with no real elimination until August 6th). 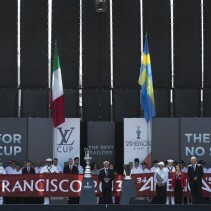 It’s was really fun to see all the sailors and the Louis Vuitton’s cup (brand new cup) and the America’s cup up close. Let’s the race begin.